In the mid 1800’s, the area we now call Forest Park was known as Harlem. Many Lutherans from Germany settled in this area. To attend services at a church, folks in Harlem would have to travel to one of two Lutheran Churches in Chicago or to Bensenville or Hillside. At that time, this was a considerable distance to travel. In 1860, the same year Lincoln was elected President of the United States, Immanuel Lutheran Church in Hillside granted permission for their pastor to preach in Harlem once a month. The pastor would arrive Sunday morning and conduct services in a home, school, or even the railroad station. He would then spend the night with one of the families and return to Hillside the next day. While the nation fought the civil war, the preaching station at Harlem grew. In 1867, the congregation was organized and this church building was constructed for $1,165. The church had to take out a $300 loan to complete construction. It was located at the corner of Marengo and Franklin Streets. Three years later, in 1870, a teacher was hired to teach 25 students. Each parent paid 50 cents a month in tuition. Classes were held in the church building. The first teacher left after a year and Pastor Grosse was called as the first permanent pastor. He also taught the school. When Pastor Grosse arrived, the congregation began to plan a second larger church. The second church was built for 500 people, but on holidays, it typically held half-again that many. 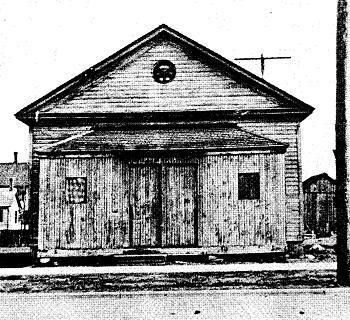 In 1873, the existing church building was moved to the back of the lot and the new church was built at the site of the old. The school continued in the old church building. Sadly, this church building was destroyed by a fire in 1916. However, by this time the current church had been built and was in use. The school continued to grow. There were 80 children in 3 classes, but only one teacher. 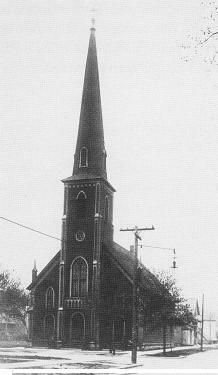 In 1887, the congregation decided to open a new school at Circle and Warren. 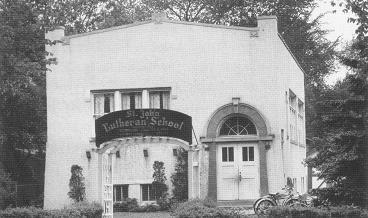 This school once stood in what is now the St. John’s main parking lot. Originally, the school had 4 large classrooms. It was enlarged to 8 classrooms in 1904. The current church building, dedicated in 1914, stands as a memorial to a group of people who showed strong faith to erect and dedicate this edifice to the Glory of God and provide a gathering place for this congregation to worship Him these many years. Many of these members mortgaged their own homes and unselfishly contributed so that the church was debt-free when they gathered for the dedication. 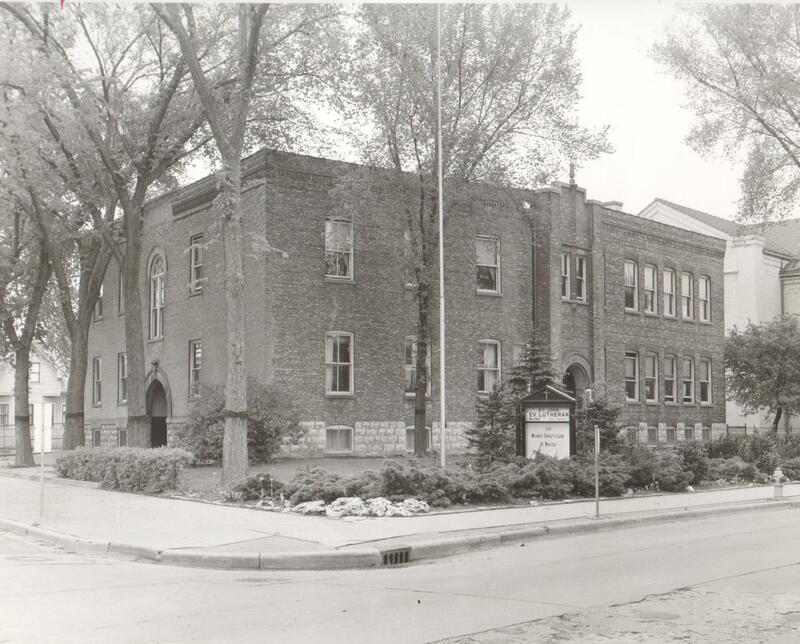 The school program continued to grow and the school expanded again in 1927. From 1928-1959 a branch school was operated on the south side. The current school building was dedicated in 1964. 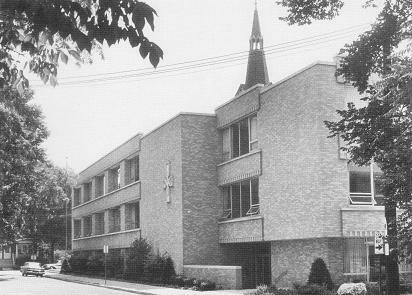 A pre-kindergarten program was added in 1970, and an accredited day-care program was added in 1982 using some of the space in the basement of the parish hall. From 2007-2014, the operation of the school was taken over by Walther Lutheran High School Association which is now known as as Walther Christian Academy.